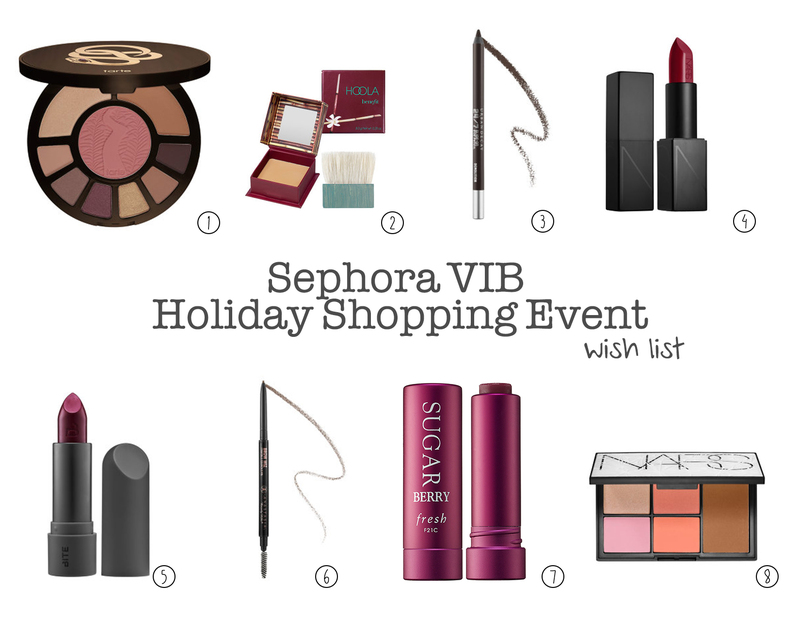 Today is the start of the Sephora VIB Holiday Shopping Event! There are so many items I’ve been wanting to try and I plan on taking full advantage of this sale. Lots of brands have their holiday palettes and items available now, so for those of you that want to start your holiday shopping early, this is a great time to start! And of course grabbing the everyday stable items you’re running low on is a must. Below are some of the items I’ve been wanting to try, once I figure out which ones I want/received them in the mail I will be doing a haul post, so stay tune! I just put in my order today! I can’t wait! that NARS cheek palette looks perfect! I knowwww! I want it so badly.